The year is 2048. Roving gangs of mutant-killing cyborg sentinels deputized by President “Cash Me Outside” Girl enforce an uneasy peace. Aerial drones patrol public places, using lethal force to punish wearers of unlicensed Disney merchandise. The Fast and Furious franchise continues to churn out movies at an even faster and more furious pace than ever, adding five movies in as many days. Holo-TVs are in wide distribution, costing only 100,000 credits (10,000 credits for an “ads-only” version from Amazon). And somewhere, someone is still putting out pieces complaining about the lack of a headphone jack in the iPhone LXI, even though it features a zero latency neural implant. Yes, you can! Because the Macalope alluded to it above! It’s the headphone jack, a piece of technology that has been beloved since the 1950s. You know, the AA battery has been in use since the early 1900s. Apple should power its phones with those since people love them so much. Let’s start an online petition. Unlike the competition from Apple and Google, Samsung is retaining the headphone jack on its flagship smartphones. Or not! It might depend on your usage! In many cases, you may not care at all! You might prefer wireless headphones for any number of reasons! Exclamation mark! 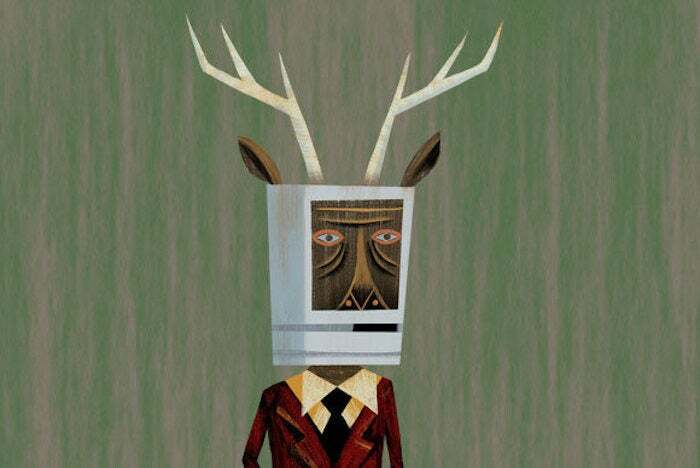 The Macalope has an iPhone with a headphone jack, it’s the iPhone SE. And guess what, he hasn’t used that jack in over a year, since getting a pair of AirPods. He doesn’t need it anymore. Done. Finito. Thanks for the memories, 3.5mm headphone jack. We sure had some good times. Please enjoy this parting montage of the horny one getting wires wrapped around his antlers. [With the iPhone and the Pixel] you can attach an adapter so that your old headphones can be used — but in reality, it's a cumbersome and silly fix for a problem that previously didn't exist. For the purposes of this discussion, we’re going to assume that you are literally waist deep in corded headphones and have no interest in going wireless. Who would want to get rid of wires? The notion is laugha-OW I GOT MY HEADPHONE WIRE STUCK IN THE INSTAPOT AND RIPPED OFF MY EARLOBE. [The Galaxy S9 even has] something called "ARemoji," which are curiously similar to Apple's "Animoji" technology in the new iPhone. Very curious indeed! It is amazing how Samsung simply came up with ARemoji on its own! Thus we see the “natural evolution” of devices in action, merely coincidentally moving all devices to, by utter coincidence, be like Apple devices. Nature is truly amazing. And full of weird coincidences. By retaining the headphone jack, the Galaxy S9 is far more user friendly than the competition. There are probably always going to be people who prefer wired headphones, even as wireless headphones become more stable and convenient with longer and longer battery life. Because people are weird. But it’s going to be kind of awkward when Samsung drops the headphone jack in the Galaxy SX.